The authentic work of Giovanni Battista Gabrielli can sometimes be hard to discern amongst the crowd of lesser Stainer copyists that thrived throughout the eighteenth and nineteenth centuries. A very fine and well preserved example thus stands as a marker of what this very distinguished and influential luthier achieved. 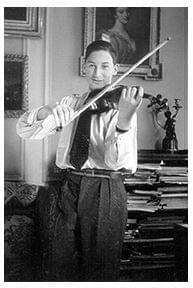 He was born in Florence in 1716, when there was it seems very little violin making activity in the city, if any at all. The ruling Medici family were patrons of the Amati and Stradivari, and the import of instruments from Cremona possibly did not seem worthy of challenge by local craftsmen. Bartolomeo Cristofori is an important personality in the development of instrument making in Florence however. It is possible that he received some training in the Amati workshop around 1680, before taking up an appointment in Florence in 1709 to Prince Ferdinand. Although he is best known today as the inventor of the pianoforte, a few cellos and at least one bass bear his labels. It is likely that Gabrielli gained his first experience of instrument making in the workshop established by Cristofori, working in the very refined and demanding circumstances of the Medici court. Despite Cristofori’s experience, the chosen model throughout Europe in the eighteenth century was that of Stainer, itself developed from the Amati model. This preference now seems hard to explain, especially in view of the enormous developments taking place in Cremona at the time, but the Stainer model, to some extent exaggerated far beyond Amati’s own principles, must have provided the most effective voice for the music of the time. Gabrielli’s instruments, as is clear from this instrument of 1747, a point quite early in his career, are very subtle and beautifully worked. This is a stikingly pretty instrument, attractively proportioned and poised with no weakness of line or craftsmanship. The original label it bears is written in an elegant manuscript, ‘Joannes Baptista de/ Gabrielly Florintus fecit 1747’. The arch has the very Stainer-influenced shape, with the edge channel cut widely and deeply, before rising to a very rounded breast. The neatly laid purfling is of ebony, which is difficult to form, but inlaid with this precision gives a very strong emphasis to the narrow edge and outline. The soundholes also follow a Stainer inspiration, although the wings are left unfluted, and they have an exaggerated breadth across the upper part, which is a distinctive feature of Gabrielli’s work. The head is very delicately and precisely carved, with all the care that one would expect from a craftsman working in court circles. 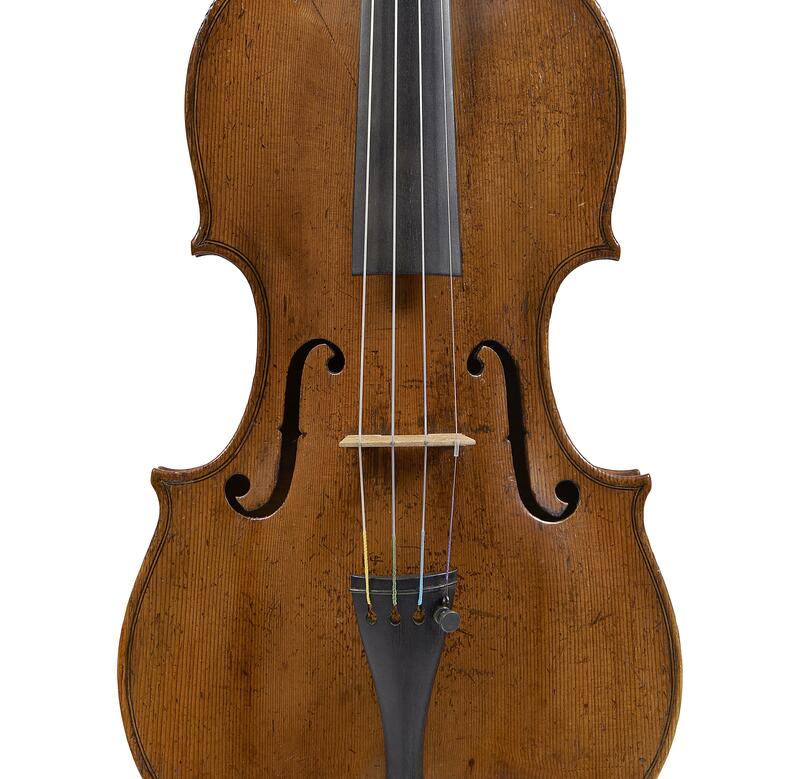 It owes rather more to Amati than Stainer in form, and the pegbox sides are slightly hollowed, a mannerism later adopted by Antonio Gragnani from his experience in Florence. This violin even retains its original neck, of good modern proportion, only raised a little at the root. The Gabrielli varnish is not highly coloured, but time has surely played a part in developing the subtle golden yellow tone. It is possibly a little harder than the Cremonese, possibly more durable, and in keeping with Gabrielli’s sensitive and painstaking approach to his art. His general approach and preference for the Stainer model was continued by the Carcassi brothers, but few others in Florence. 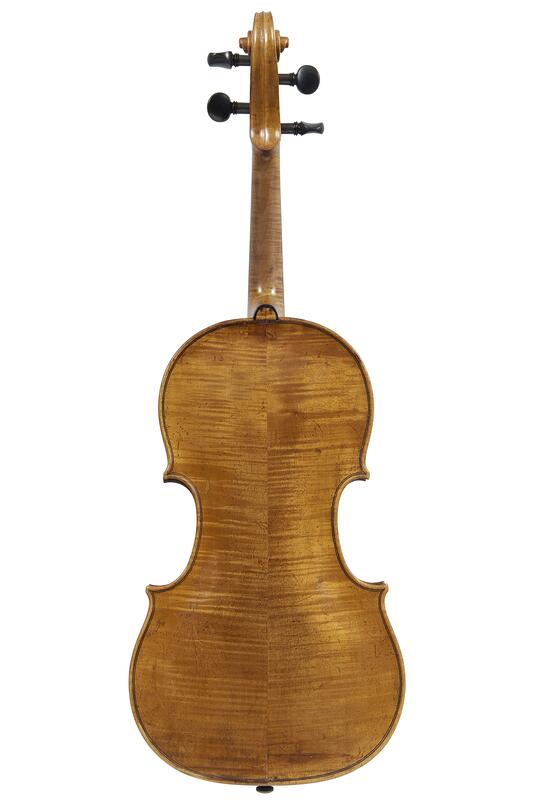 The city remained one of the minor schools of Italian violin making, but that does not in any way diminish Gabrielli’s status as one of the most refined makers of his period.